December 2015 - We're looking forward to seeing you in Booth 1326 at AHR 2016 in Orlando. 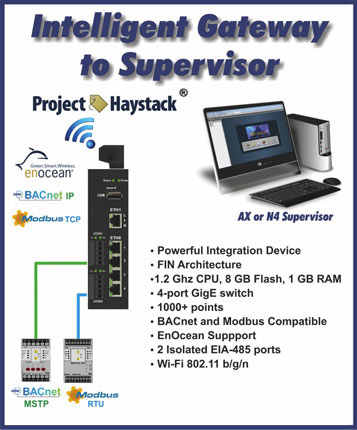 We'll be showcasing our portfolio of open building automation and control solutions that allow systems integrators to Integrate, Control, Visualize and Communicate. 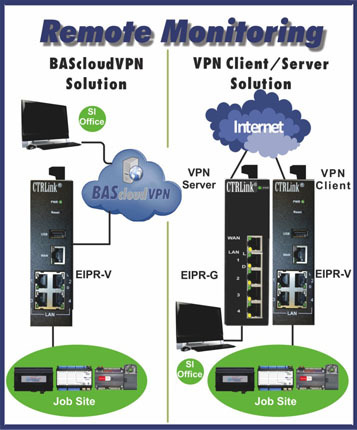 Here is a peek at some of the solutions we will be offering. 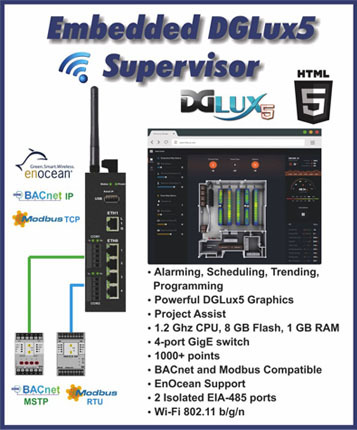 The BASsupervisorDG5 is ideal where a comprehensive head-end is required along with wired and wireless connectivity options. The BASintegratorFIN not only provides structure to data but also captures the data in a cost-effective manner while delivering tagged field data up to building supervisors. 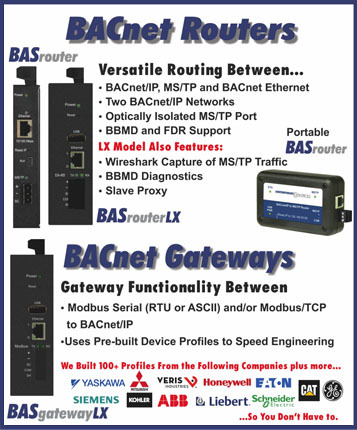 The BASgatewayLX provides standalone gateway functionality between Modbus RTU or Modbus TCP devices and BACnet/IP. Contemporary Controls' personnel will be on hand to explain the trade-offs between a cloud-based solution and the client/server solution. We are looking forward to visiting with our existing customers and meeting new ones. Be sure to stop by Booth 1326 at AHR to say hello.